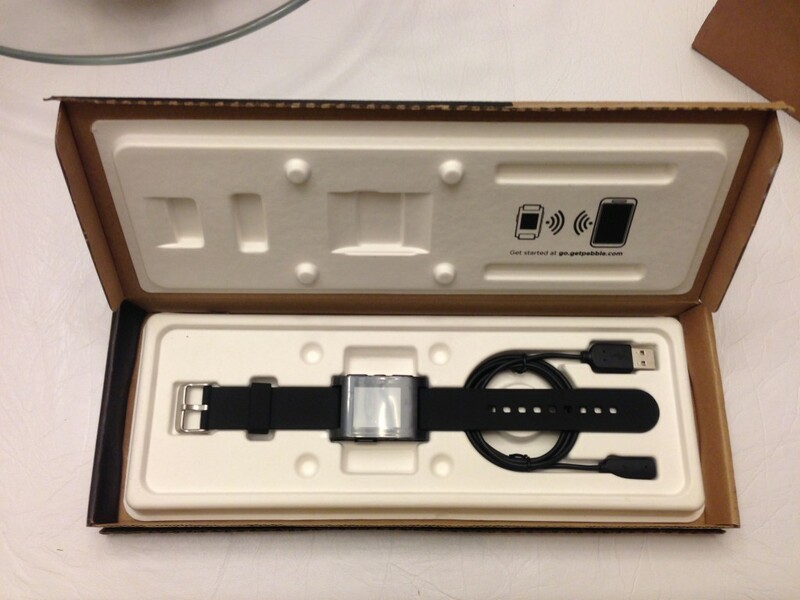 Moi pre-ordered the famous Pebble watch on Kickstarter. 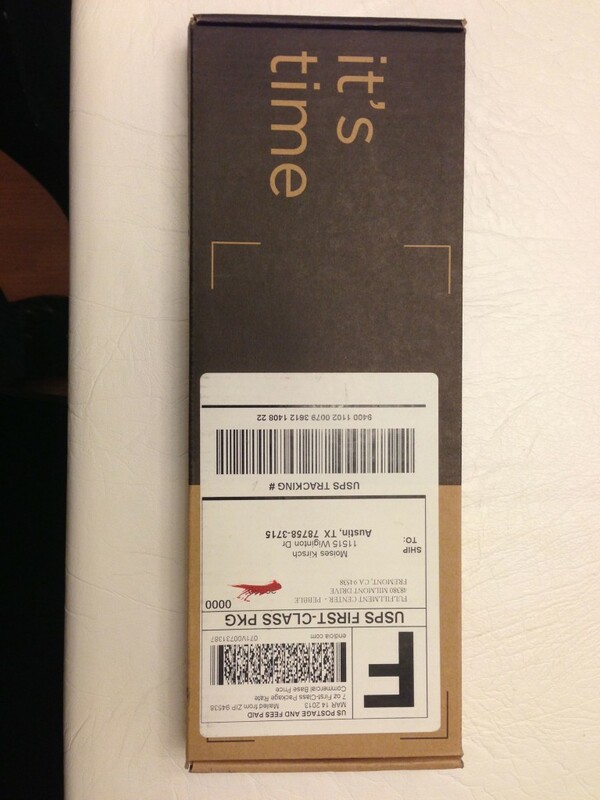 It was supposed to arrive in December… it finally did in March. Since he lives in Mexico, he ordered to my house, which means I get to test drive it. Here are my quick observations. Quick observation: We have WANs (Wide-Area Networks, as in cell phone networks or the Internet) and LANs (Local-Area Networks, as in your WiFi network). I first read about PANs (Personal-Area network) a long time ago: a bunch of devices you wear communicating with each other. Honestly I thought it was a utopian futuristic pipe dream. The future kind of snuck up on us, even though Bluetooth has been around for a long time. I have a smartphone in my pocket, wirelessly connected to my Bluetooth headset on my head. And now a watch that communicates with the phone. Some people use other devices: heart rate monitors, little Nike+ shoe thingies… it’s crazy, it actually happened. The watch looks good in the same way a decent but cheap watch does. A little bigger than I’d like but my wrists are smaller than average. The buttons are big (good) but squishy (bad). The monochrome screen is low-resolution but readable enough. Animation is choppy. You can more or less tell what tradeoffs they had to make in order to have decent (~7 days) battery life. You recharge with a special cable that uses magnets to attach to the watch. All in all it’s good looking enough. Change the watch face from many downloadable ones (use the iPhone app). See what song is playing on your phone. See some notifications like text messages from your phone. Basic things like a stopwatch are still missing. The promised apps better come soon. 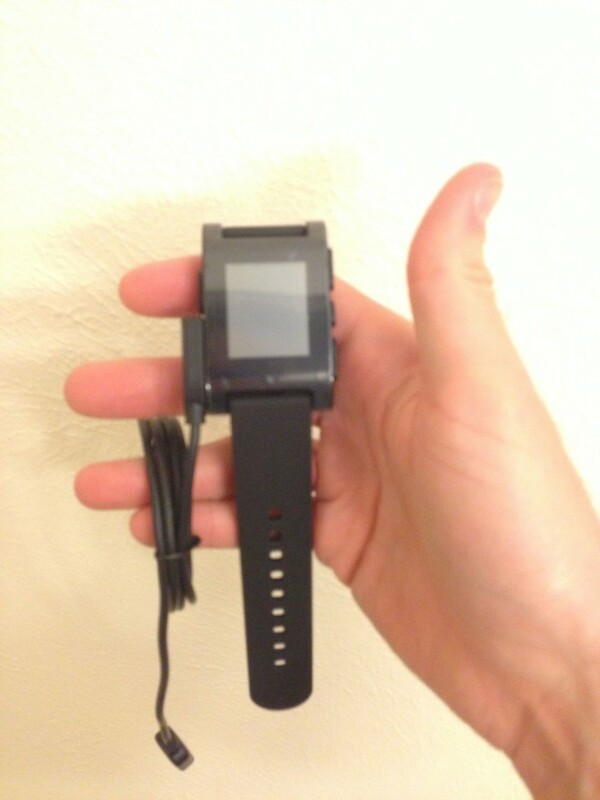 I don’t wear a watch, and the Pebble doesn’t provide enough cool things to change that. If there was something really cool then things would be different: RunKeeper integration, lap counter for swimming, or some super cool thing I haven’t thought of. I decided to Moi can keep his watch. Nothing is for free. Usually by the end of the work day my phone still has 30% or so battery charge. On my Pebble test day I did not use my phone much more than the usual. 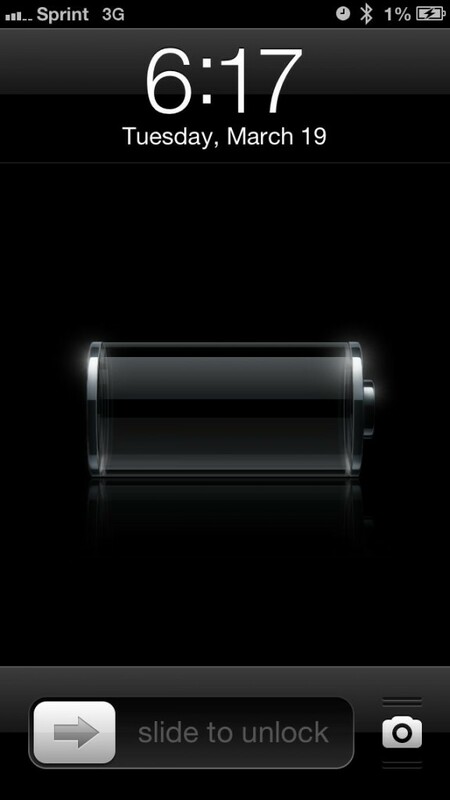 But at the end of the work day my battery was all but dead.